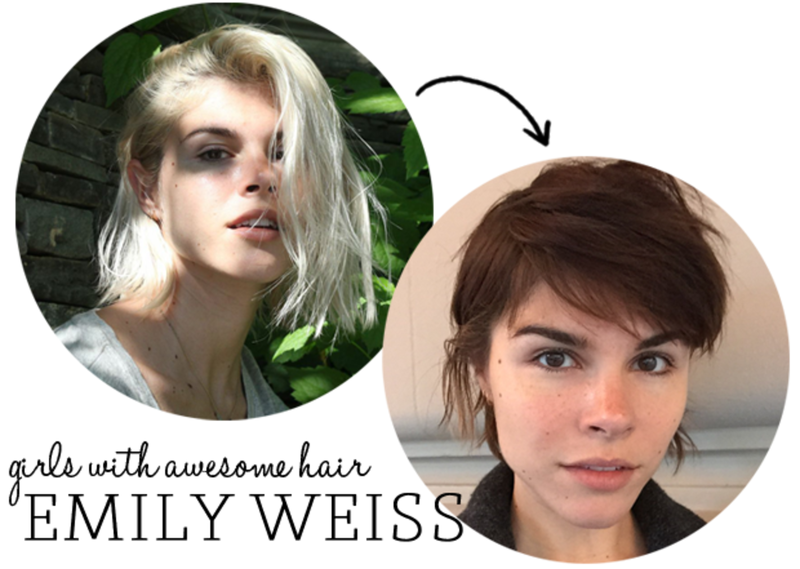 She’s the girl whose platinum bob launched a million copycats, but Glossier CEO and founder Emily Weiss&apos; more recent brunette &apos;do is just as stylishly cool. Weiss was ready for a change – or more accurately, a less time-consuming shade – while she geared up to launch her new skincare line (while running Into the Gloss, too). However, making the switch hasn’t changed the fact that she&apos;s a product junkie through-and-through. Here are the sprays, shampoos, and scrubs she once relied on for her former bleach-blonde hair, that have earned a permanent spot on her bathroom sink. 1. Christophe Robin Cleansing Purifying Scrub with Sea Salt. "This unlikely cleanser has a weird, gritty texture but it’s so good. It gives my hair a deep clean and since it’s a clarifying shampoo with sea salt, I feel better that it&apos;s slightly more natural. When I was bleaching my hair, I used this as a post-color scalp treatment to clear out all the chemicals left behind after a bleach job." 2. Shu Uemura Art of Hair Essence Absolue Nourishing Protective OilandOil-in-Cream. "I went back to being a brunette with Tracy Cunningham, and it turns out that returning to my more “natural” color actually takes just as much time as going from dark to platinum. I’ve already been in twice to get the color right. When you have platinum hair, the bleach makes your hair dry and opens the cuticle. In other words, platinum hair looks good when it&apos;s a little frizzy and textured. Conversely, really dry brunette hair ends up looking like a hot mess so I put this oil onto my hair every morning after I towel dry it. I follow the oil with its sister product Shu Uemura Art of Hair Essence Absolue Oil-in-Cream which is more like a styling cream, too." 3. Christophe Robin Antioxidant Cleansing MilkandConditioner. 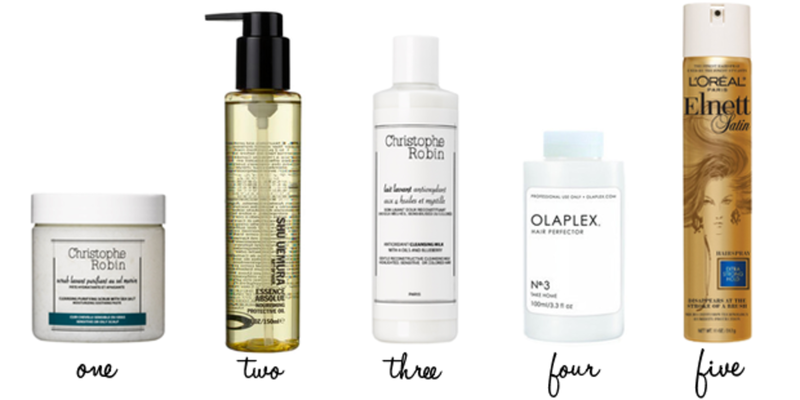 "I guess I’m a loyalist: My favorite shampoo and conditioner is also from Christophe Robin. It’s an Antioxidant Cleansing Milk and Conditioner that’s white and milky. These guys are crazy expensive, but I don’t wash my hair everyday, so it’ll take me 6-9 months to go through the bottles (I wash my hair 2-3 times a week). My new darker hair color is nice now because it’s low-maintenance and I only have to think about is washing it. When I had platinum hair, I’d be in a salon [with Aura Friedman at Sally Hershberger] every four to six weeks whether it was a toning treatment or a touch-up for my roots. 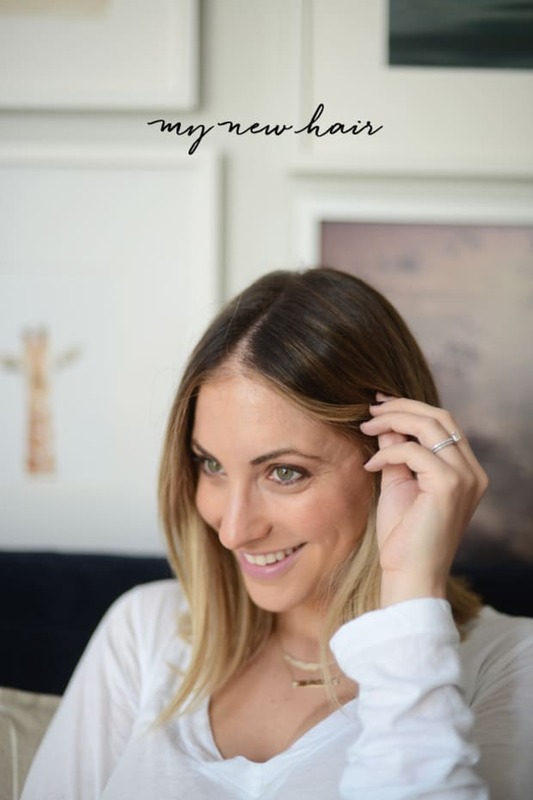 As a beauty editor, I was neurotic about it. I wanted my hair to be perfect, and it took a lot of energy." 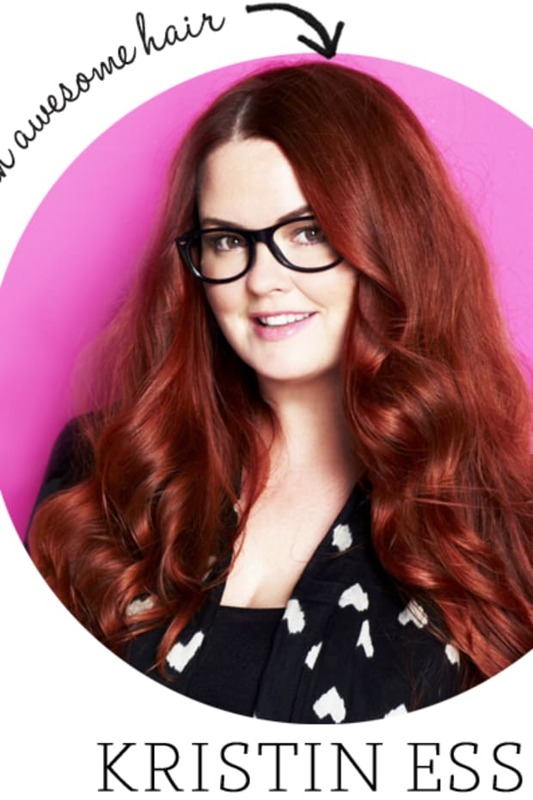 "Tracy Cunningham introduced me to Olaplex and swears that it has changed her clients’ lives. I still don’t know exactly what it is, but from what I understand, it’s a bond multiplier that protects and rebuilds your hair shaft. The only downside is that it’s for salon-use only use. When I had platinum hair, my colorist would add Olaplex to my bleach and it would minimize breakage like a dream. It made a HUGE difference for the health of my hair." "My version of a done up ‘do is to slick it all back. It’s usually just wet hair with L’oreal Elnet sprayed into it. I love that you can brush Elnett out and that it has flexible hold and never looks like a hard helmet. At the end of the day, I’m pretty low-key about my hair and I could never commit to something like bangs, because I don&apos;t really do any styling."